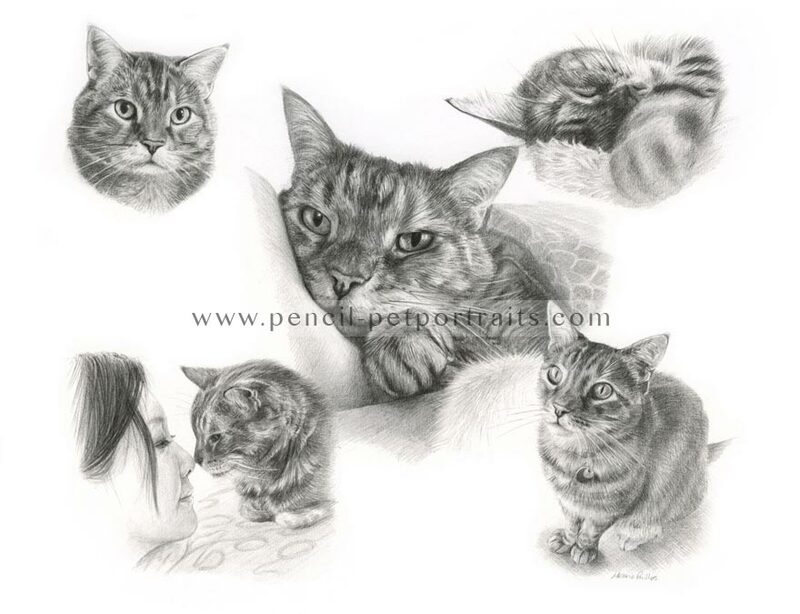 Welcome to the cat pencil pet portraits montage of Gilli. 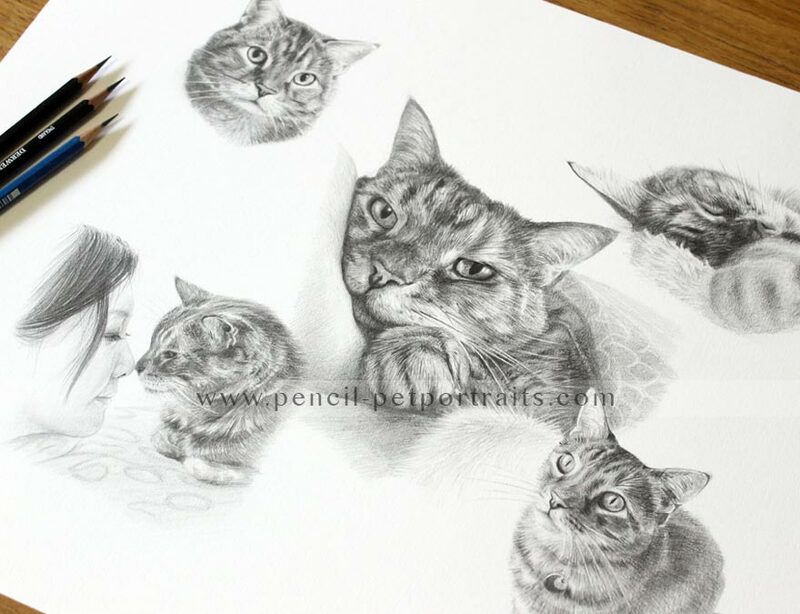 My client Vivian emailed me from Hong Kong to commission me to draw Gilli for her friends birthday. 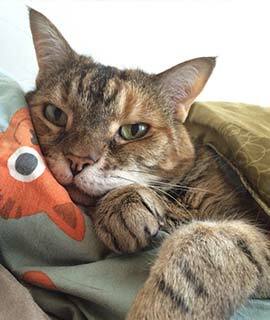 Vivian had taken many wonderful photos of Gilli using a digital camera and so the photos were very high resolution and wonderful to work with. Vivian had specific ideas of how she wanted the portrait to look. We worked together via email creating designs for the portrait, trying all of Vivian’s photos in different combinations. We came up with the finished design which I then drew the portrait from. When the drawing was complete, I emailed a finished scan to Vivian to see if she would like any changes. Everything was perfect! I then took photos of the finished drawing on my plan chest in my studio, with my pencils laying on the drawing, to show the scale of the portrait. 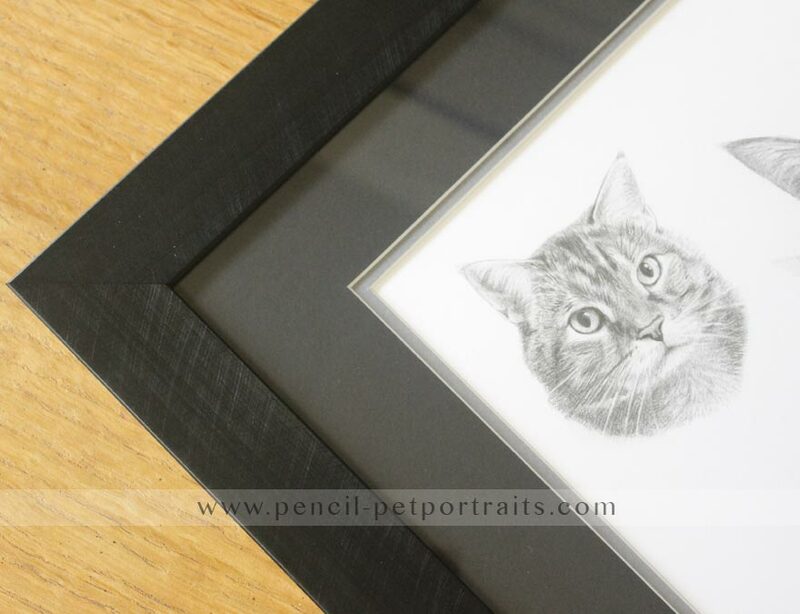 Vivian requested my framer Amanda to frame the portrait and we went through a number of combinations of mouldings and mounts until we came up with the frame and mount that Vivian has envisaged for Gilli's portrait. 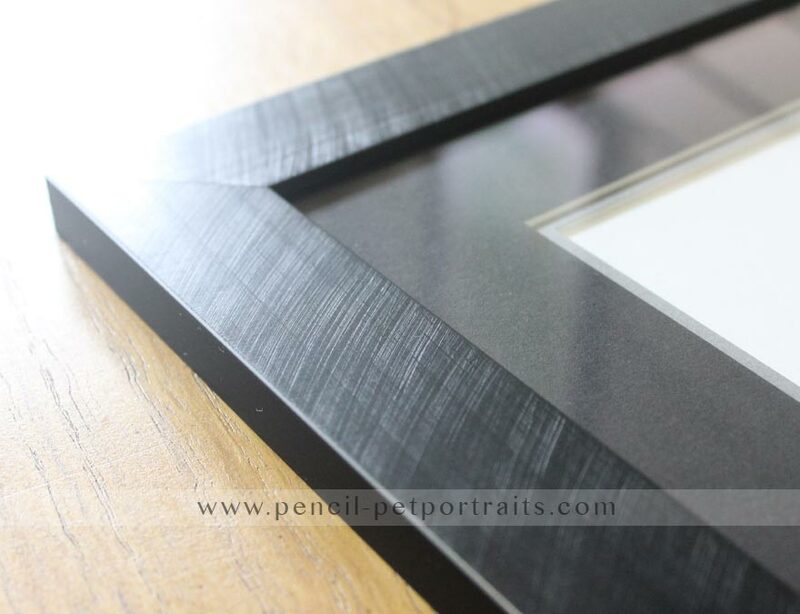 You can see some photos of the frame, Albany Onyx, below. 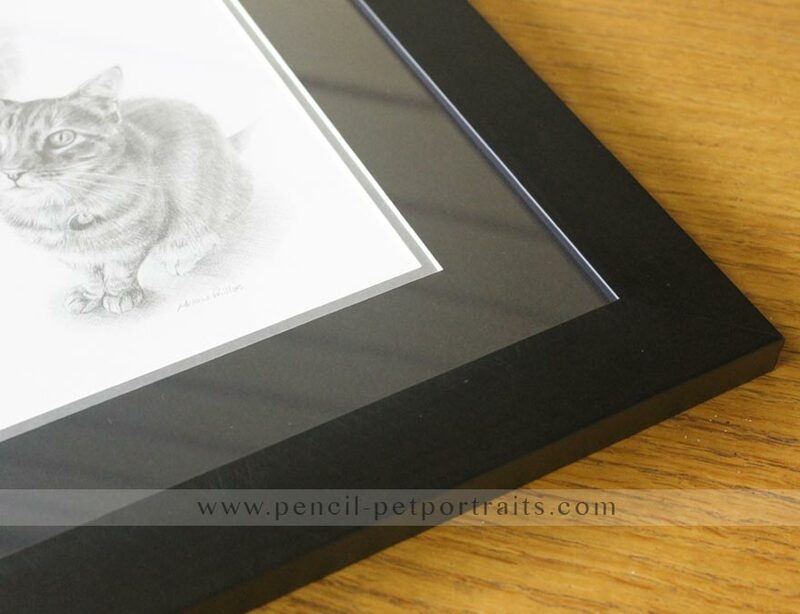 The frame and mount works beautifully with the drawing and allows the drawing to be in full focus. 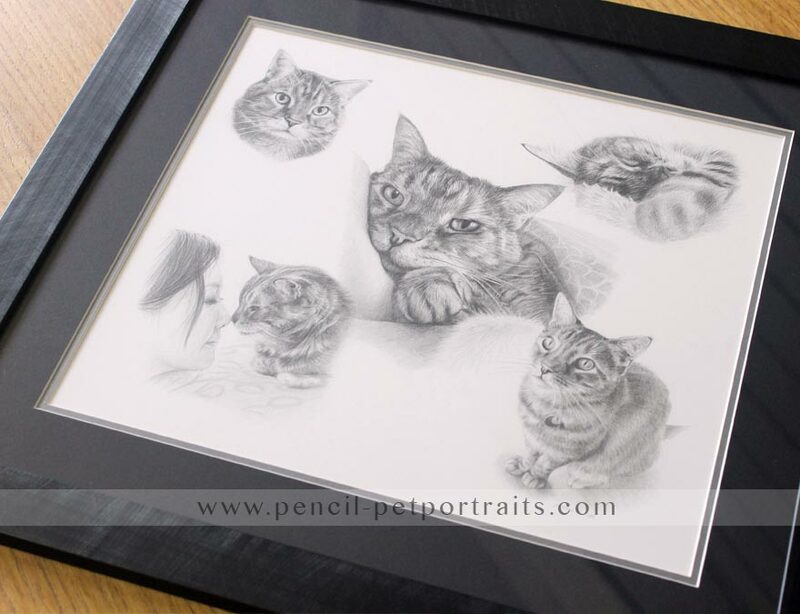 I also took some video of the framed pencil drawing when everything was completed before packing the portrait ready to send. I hope you enjoy watching it! 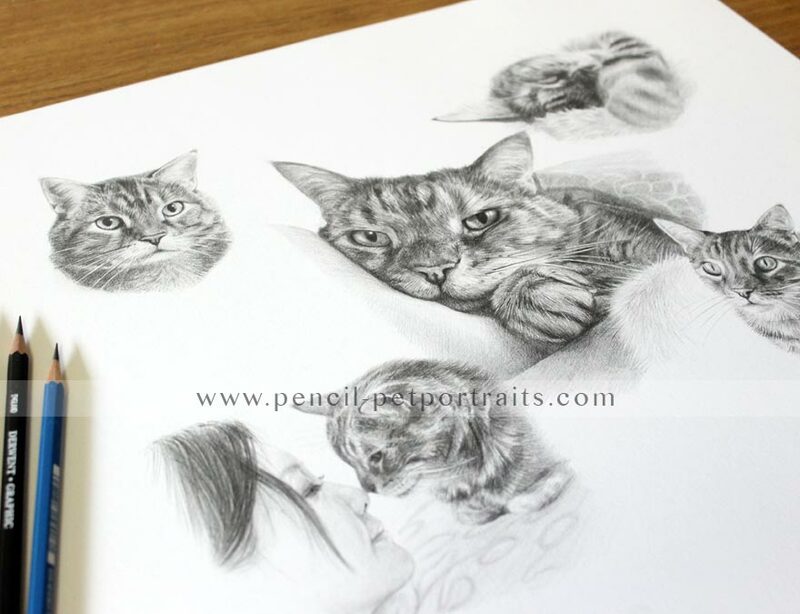 I have also added a testimonial from Vivian too, along with some photos of the portrait when it arrived in Hong Kong. It was to be presented to Vivian's friend on a bespoke hand made stand Vivian commissioned for the drawing to be displayed on. This was a wonderful commission to be part of and I thoroughly enjoyed drawing Gilli. 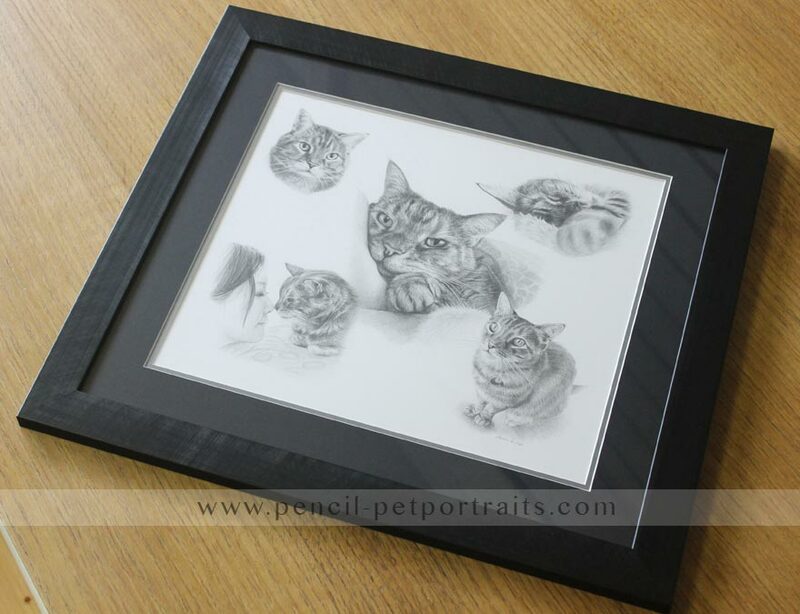 If you would like a portrait similar to this of your cat, don't hesitate to drop me a line at any time. That is awesome !!!!! Thank you so much !!!!! It looks perfect! There is nothing need to change. I can't wait to give it to my friend, I am really excited to see her reaction. I often take video of my portraits, I hope you enjoy this one. 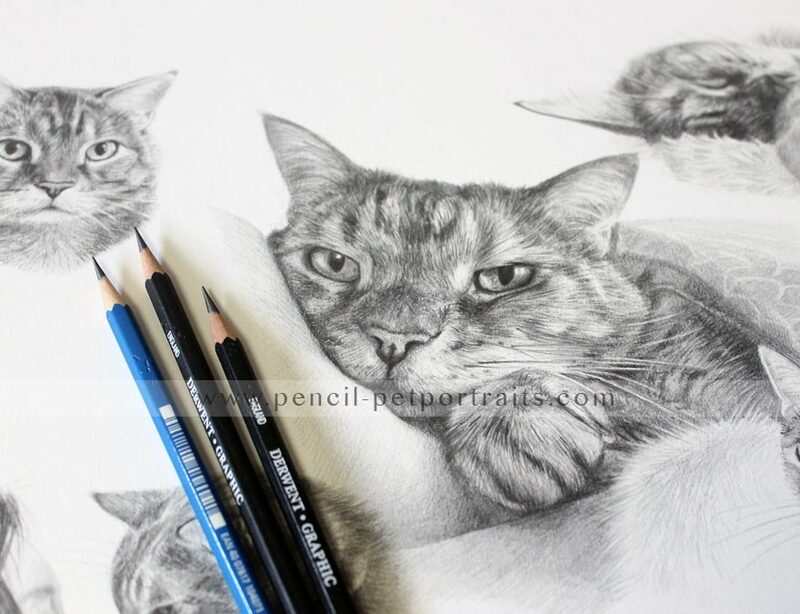 Feel free to take a look at my pencil portraits video page to see more!